The community of Buena Vista Glendale consists of two property styles. 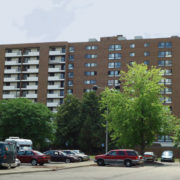 A 7-story mid-rise building that offers 1- and 2-bedroom apartment homes for ages 55 and better and/or disabled seniors. 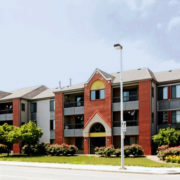 They also have one- and two-bedroom “garden style” apartments for families who do not fit the senior criteria. 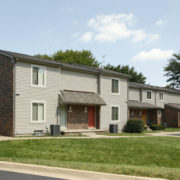 We renovated of 93 units—73 units in the mid-rise building, and 20 “garden style” units. In the mid-rise, we updated the common HVAC systems, elevators, and the mechanicals. We also installed new windows, new exterior doors, a new roof, and did some brick tuck pointing. 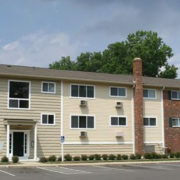 Inside the 73 units, we installed new cabinetry, lighting, flooring, appliances, and upgraded the HVAC system. 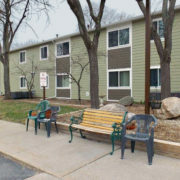 In the 20 “garden style” units we installed new LVT flooring, carpeting, plumbing fixtures, windows, entry doors, door walls, and a new HVAC system with a digital thermostat. We then painted all the walls and ceilings. 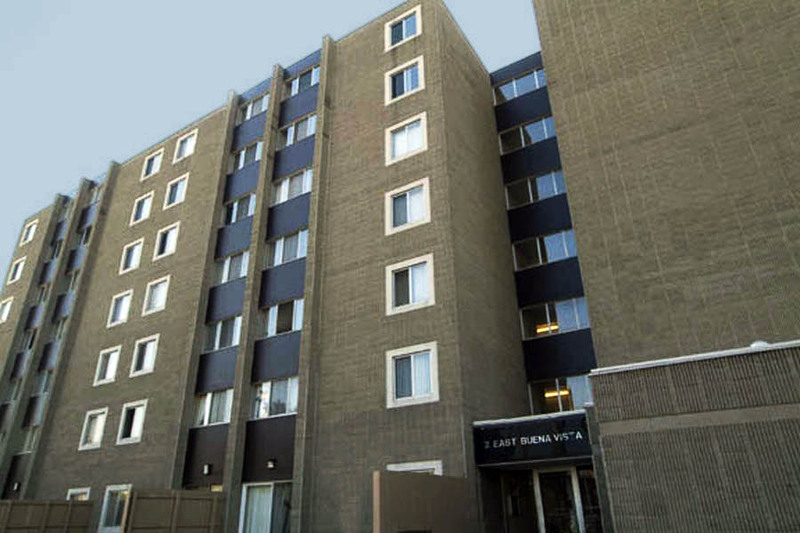 On the exterior of the units, we installed siding, shingles, gutters, downspouts, and balconies. We rehabilitated the common area rooms and office with new flooring, lighting, paint, and furnishings. We also rehabilitated the bathrooms, exercise room, multi-purpose room and kitchenette, library, and the sitting area. The renovations also included exterior site work, new asphalt parking lot, and landscaping. We also installed new site signage.